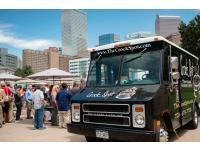 Have you thought about having a Gourmet Food Truck cater your next party? We'll roll up to your event, serve the deliciousness, and make your guests happy! You can enjoy your own party instead of cooking and cleaning.